Fancy an August short break on a small family-owned vineyard estate with the classic vineyards of Saint Emilion and Pomerol just a stone’s throw away? This beautiful guest house accommodation still has good availability in August and I should also mention that they have just lowered their prices which puts them very much in the ‘affordable’ price bracket now! 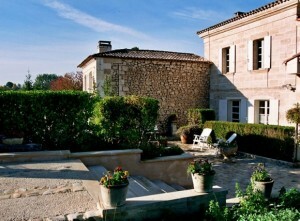 The accommodation would suit those looking for some peace and quiet in classically French surroundings and wine buffs will of course be in their element. A bottle of the Domaine’s own wine will be offered to you and you will of course have the opportunity to taste many more during your stay. Click on the photo below to view full accommodation details and then click the ‘enquire for availability’ link to make your request for specific dates.